How does an NFL running back on a poorly performing, small market team build a valuable brand, and create and maximize financial opportunities for himself? That was the question facing Steven Jackson when we began working with him in 2008. 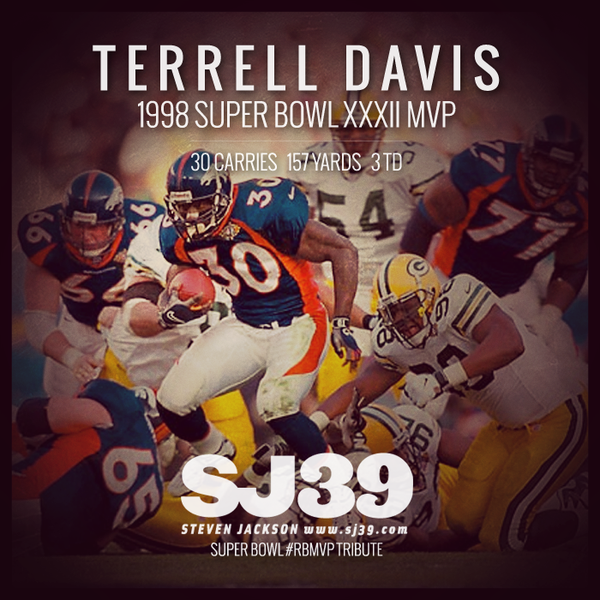 To a knowledgeable observer, Steven was clearly one of the best running backs in the league — he had been to a Pro Bowl in 2006 — but outside of St. Louis, the casual football fan knew little if anything about him. Even the media who covered the Rams locally were unsure what to think of him. Steven was by nature introverted, and his discomfort in front of the cameras at times was sometimes misinterpreted by reporters as disinterest. He needed a strategic plan for reshaping the way he was seen. Starting from no digital presence of any kind, we built out Steven’s web site and launched social presences on Twitter and Facebook. Not long after, we started a blog, and filmed a web series chronicling a week of his offseason training. Slowly, we began to spell out for people just who Steven Jackson was — not in cliches, but in the specifics of his experience. And as we did, Steven began to feel greater comfort in expressing himself, and clarity about what he represented. In 2010, Steven commissioned us to film a documentary chronicling his life on and off the field for a single week of the NFL season. The result was A Week in the Life With Steven Jackson, one of five worldwide Webby Awards nominees for Best Online Sports Video in 2011. A Week in the Life was featured on ESPN, the Wall Street Journal, the Jim Rome Show, the Scott Van Pelt Show, and numerous other media outlets. Armed with the documentary and Steven’s growing social media accounts, his representatives were able to secure a host of new endorsement opportunities. Steven’s increasing popularity also helped make him a Pro Bowl selection in 2009 and 2010 despite St. Louis’ respective 1-15 and 7-9 records. 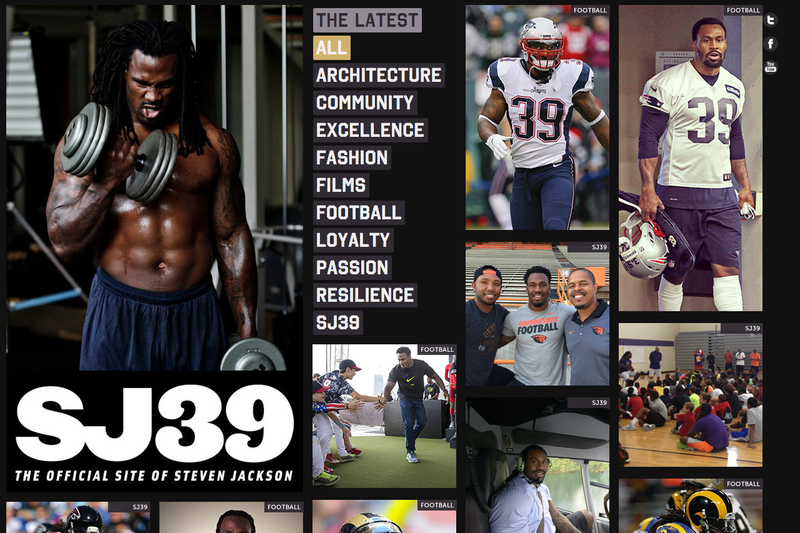 The official web site of Steven Jackson, www.sj39.com. 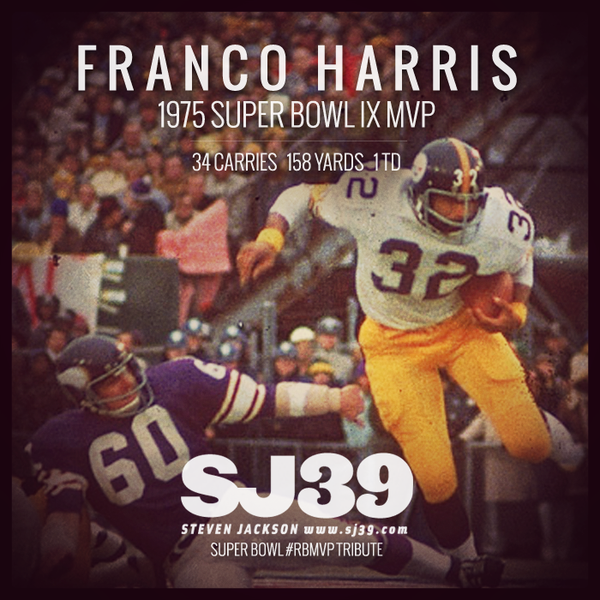 Over the years that followed, we continued to chronicle his life on the field, playing for the Rams and then the Atlanta Falcons, and his life off it. People became aware of his off the field interests — travel, photography and art. 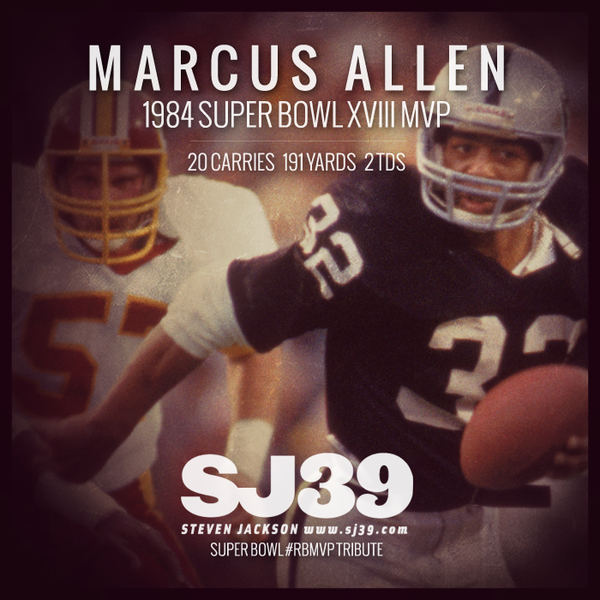 More recently, our efforts with Steven have focused on solidifying his place as one of the last every down running backs, and a potential member of the Pro Football Hall of Fame. To that end, during the 2014-15 offseason, we launched Save the Running Back. The running back position — Steven’s position — has become an increasingly diminished and devalued position in the NFL. Our campaign for Save the Running Back, a fictitious community service organization, featured Steven as its spokesperson. 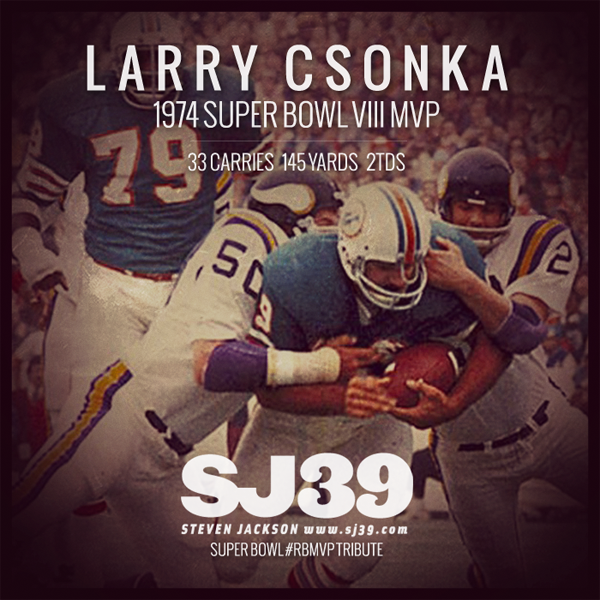 It also included a web site, a social media campaign that highlighted running backs in various ways, and a series of public service announcements. 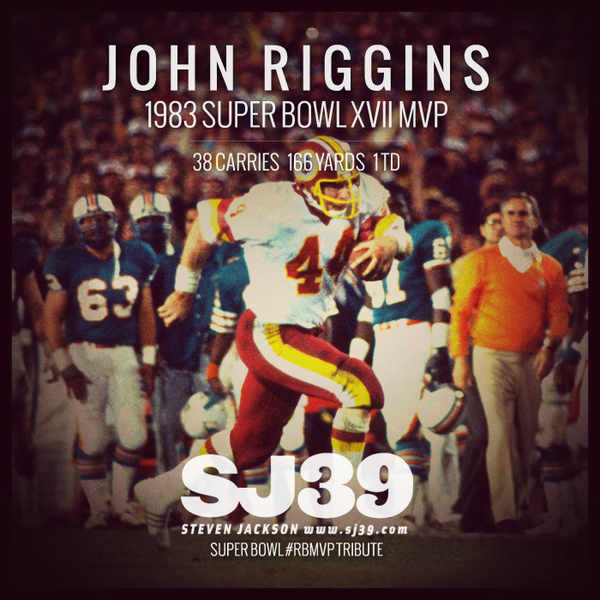 A social tribute to running backs who won the Super Bowl MVP award, part of the Save the Running Back Campaign. The public service announcements, in particular, set off a viral explosion, eliciting coverage from virtually every major media organization in the first 12 hours, including FoxSports, USA Today, the Washington Post, SB Nation, Sports Illustrated, and many others. ESPN asked for and received permission to run the clip on SportsCenter nationally, garnering an estimated four million views on televisions across the United States. Save the Running Back was a runaway hit. Despite having played virtually his entire career for losing franchises, Steven has built a valuable digital brand that has helped him to earn millions of dollars in contracts and endorsements. With a robust social media following, No. 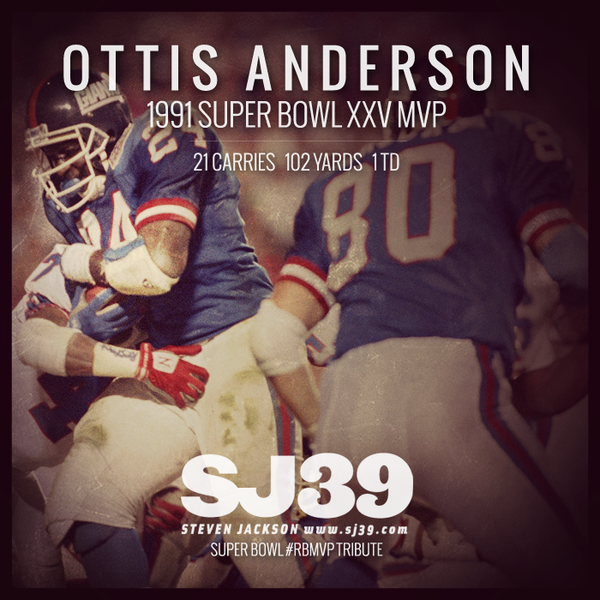 39 is set for the remainder of his playing days and beyond.